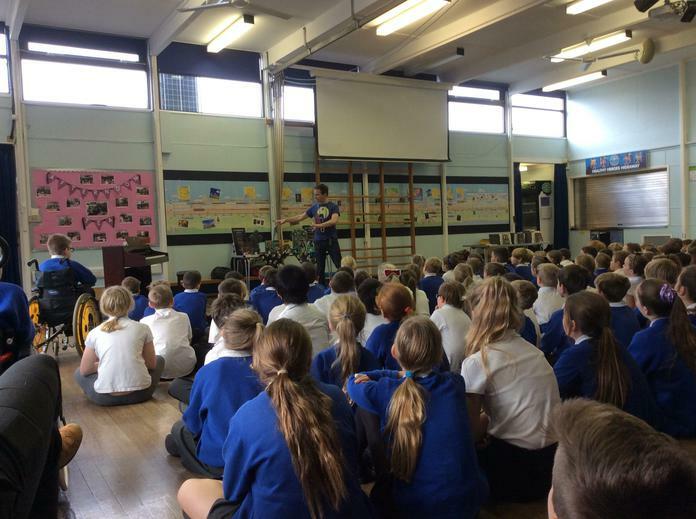 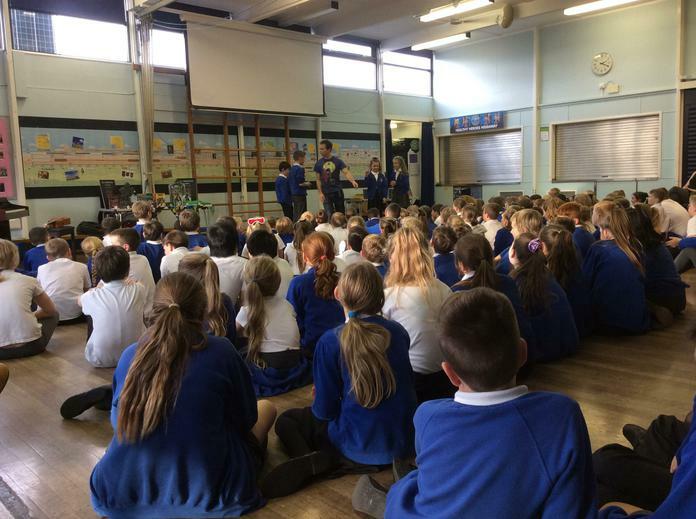 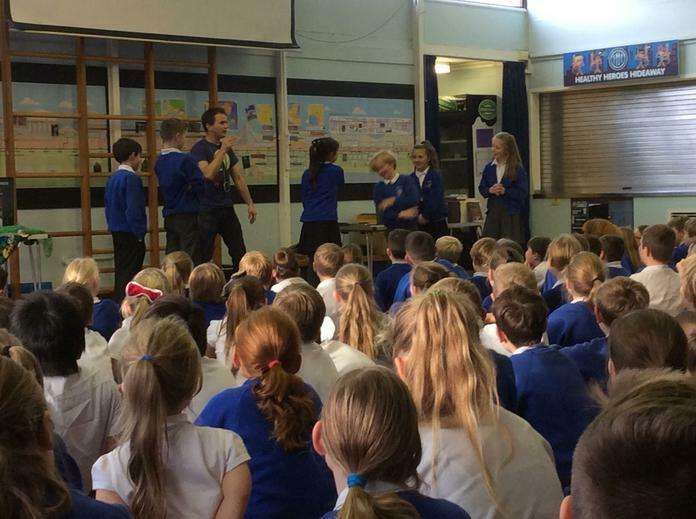 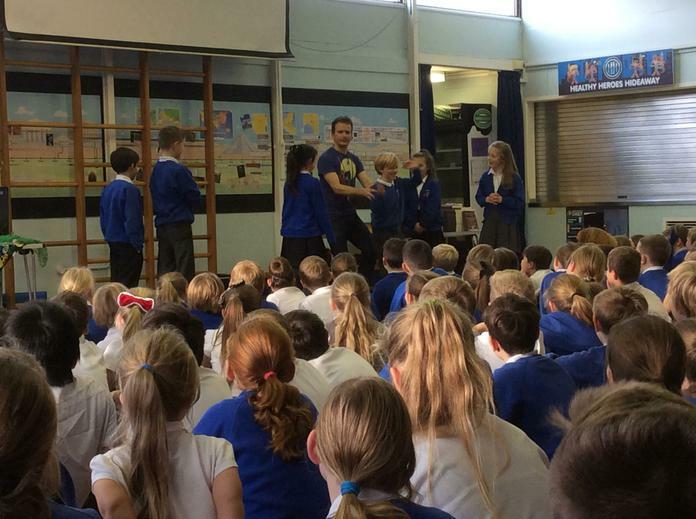 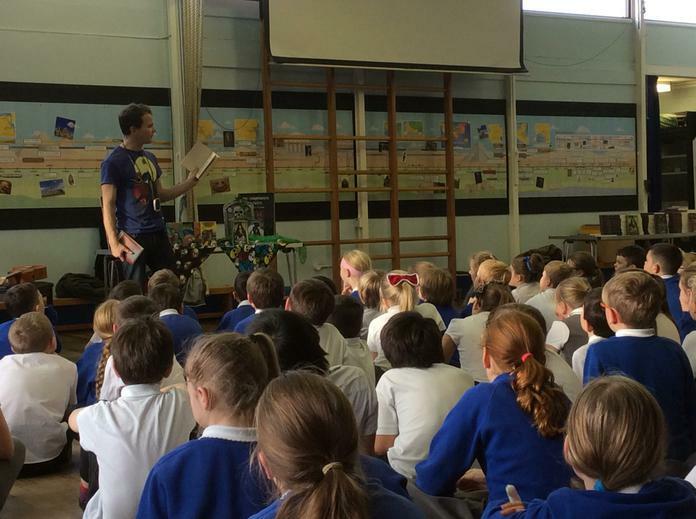 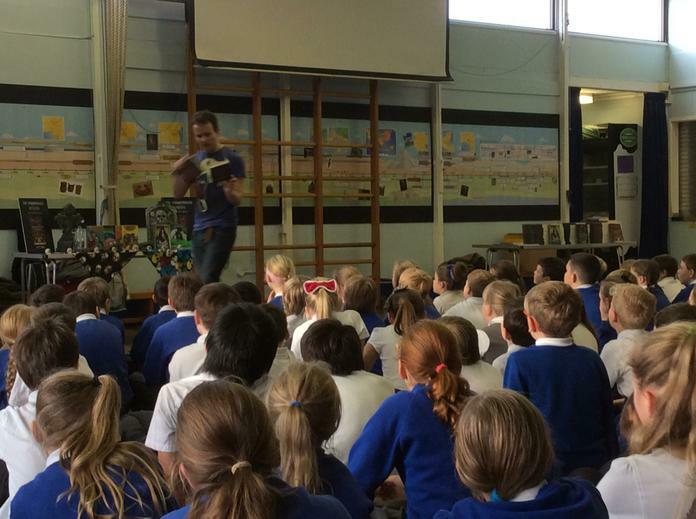 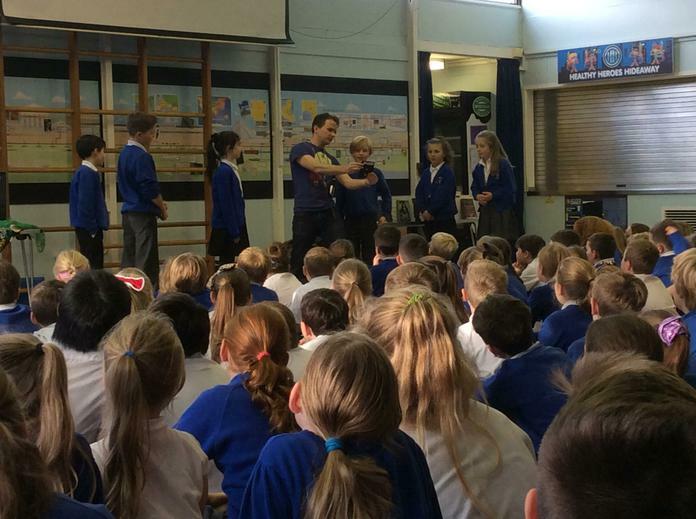 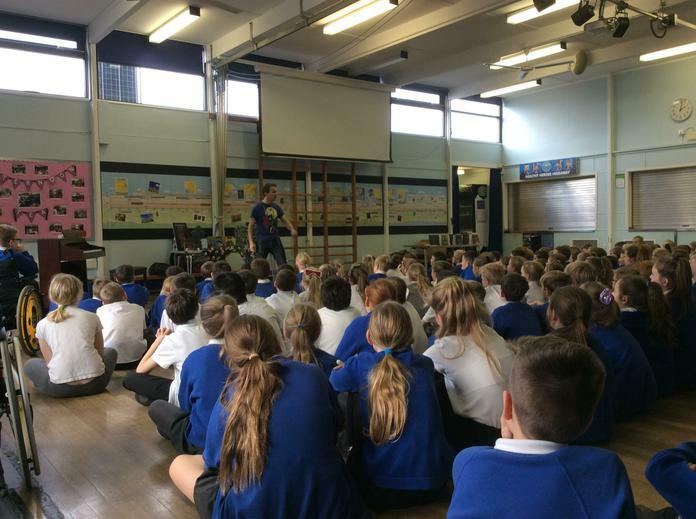 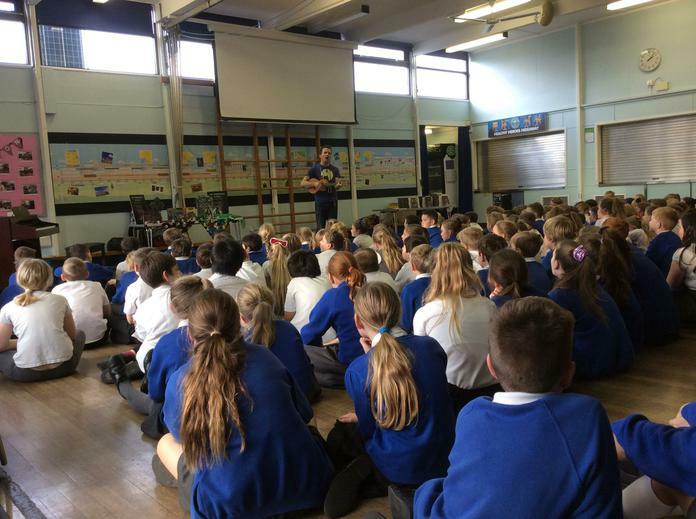 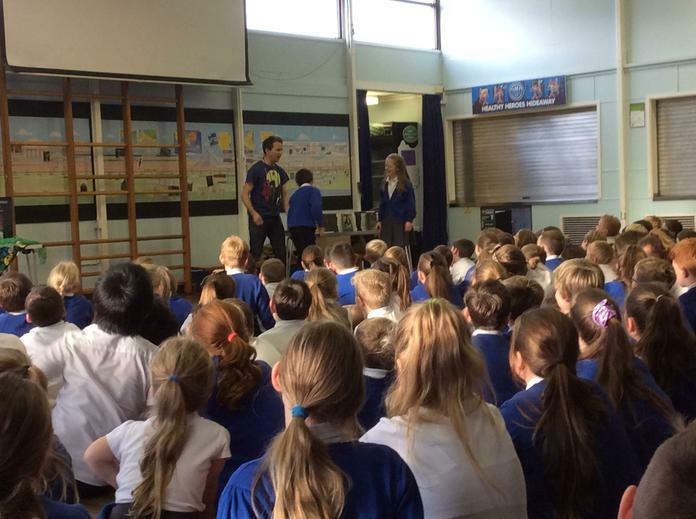 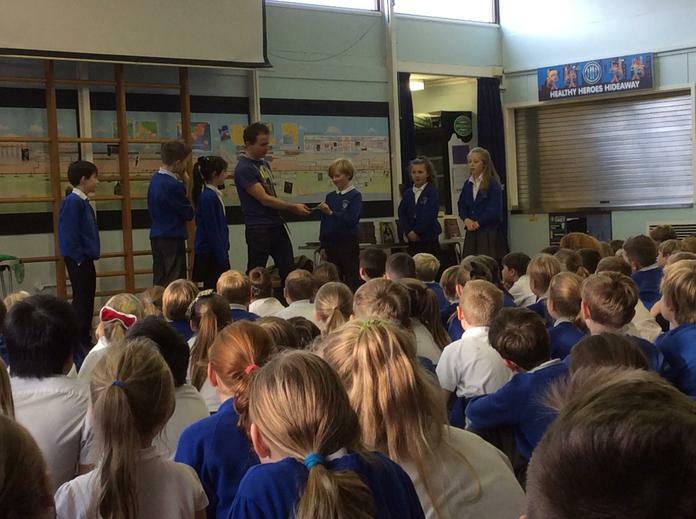 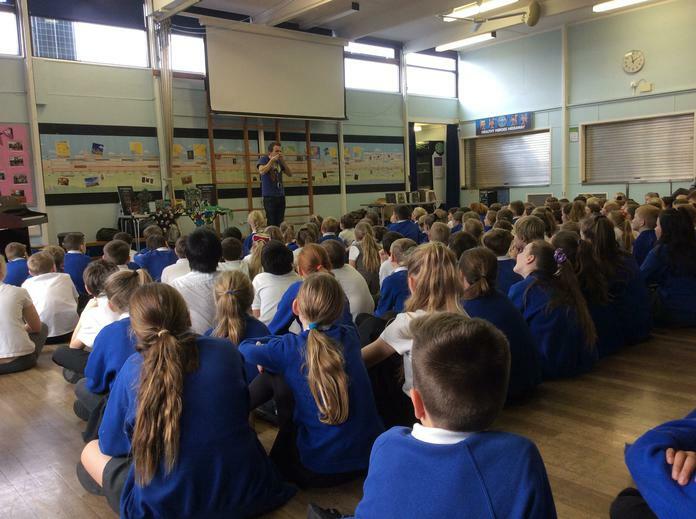 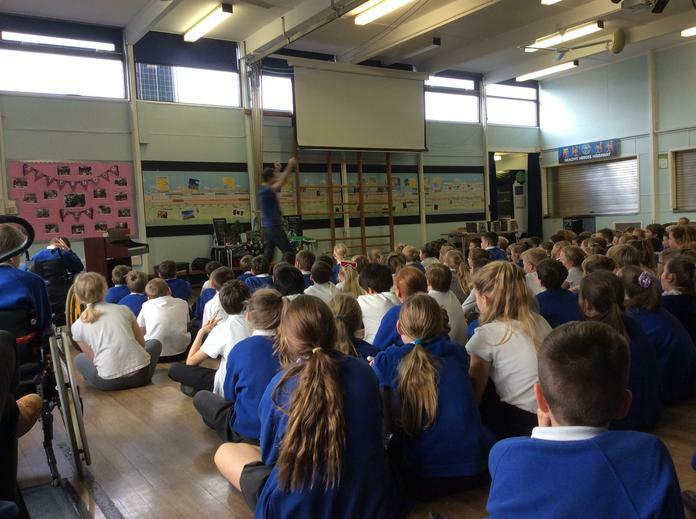 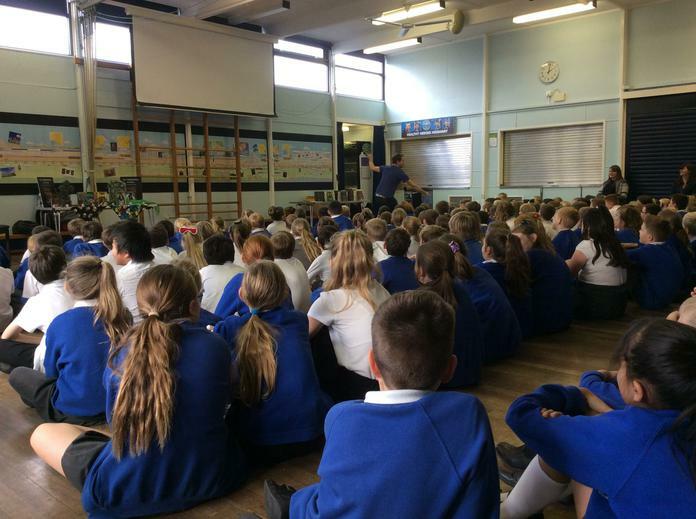 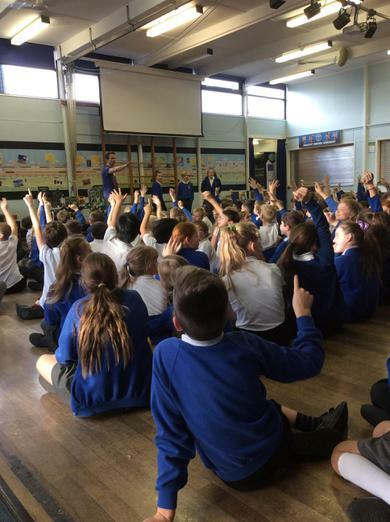 This afternoon, the children enjoyed a highly entertaining assembly with author Gareth P Jones. 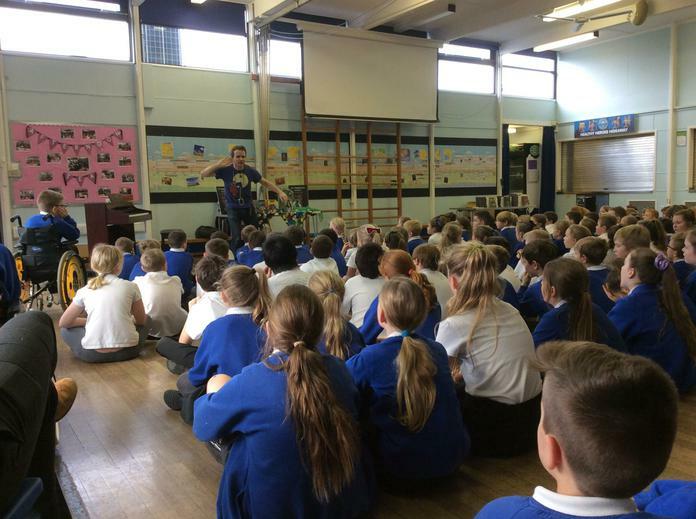 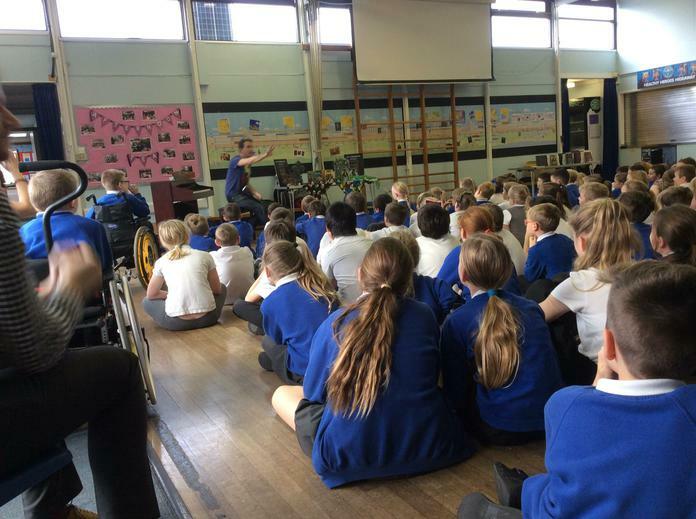 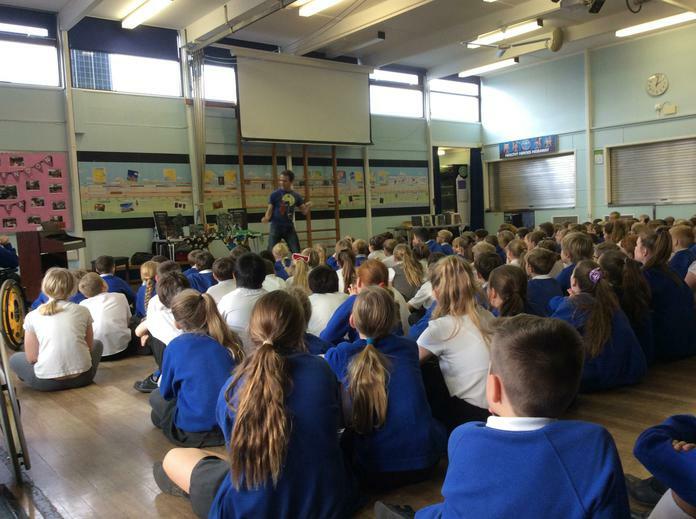 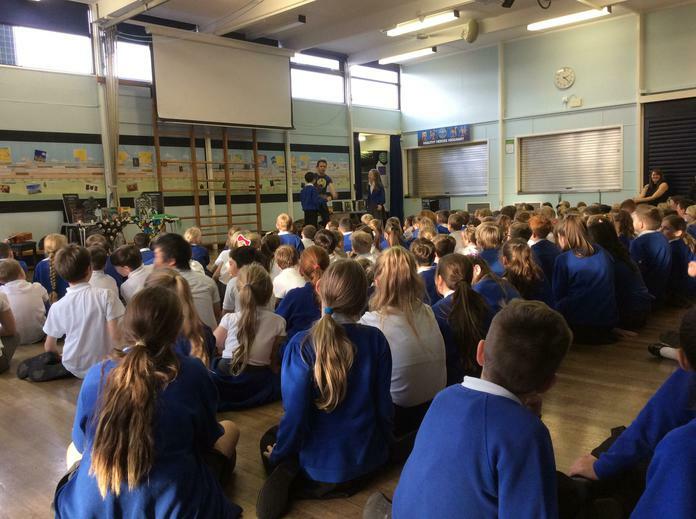 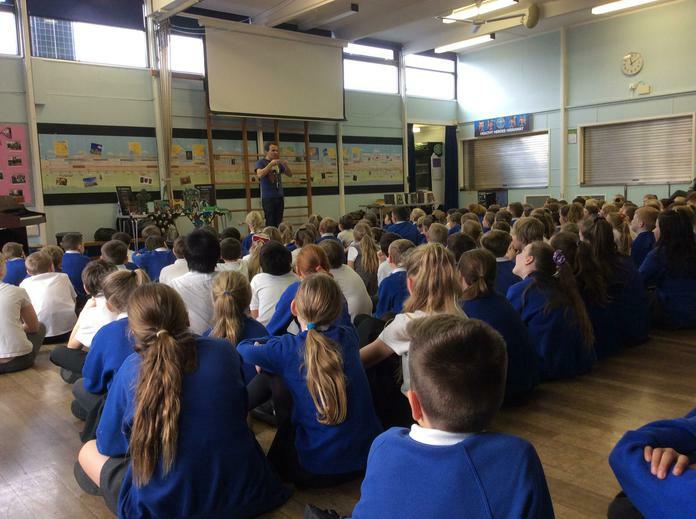 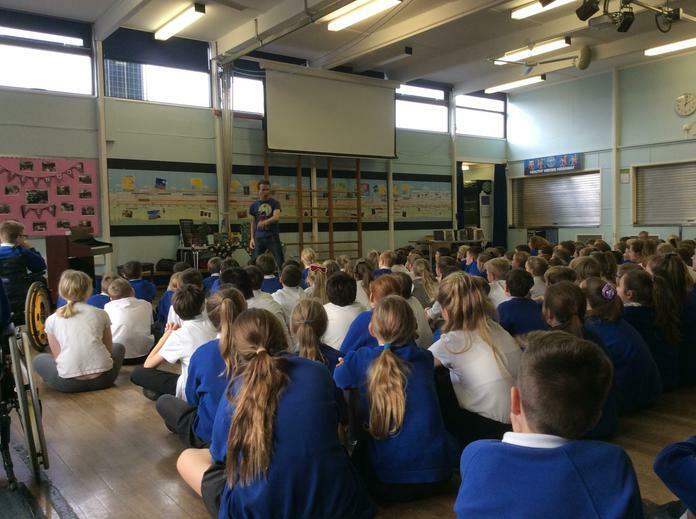 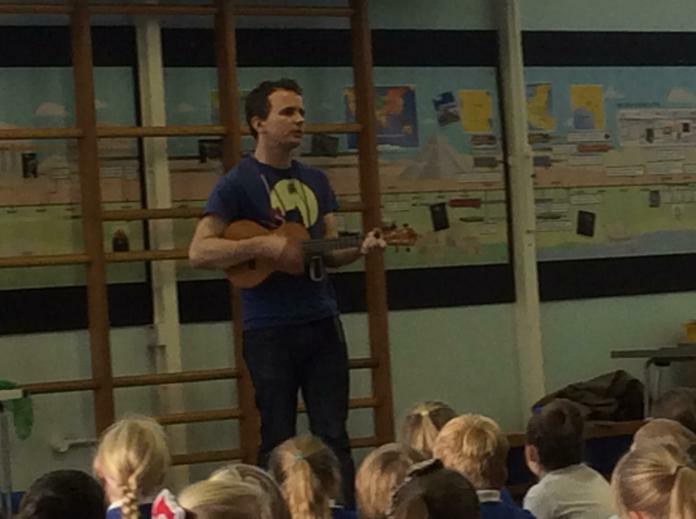 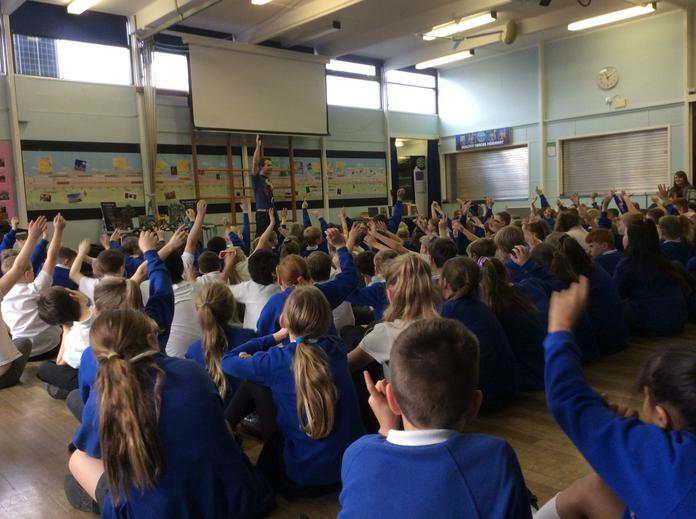 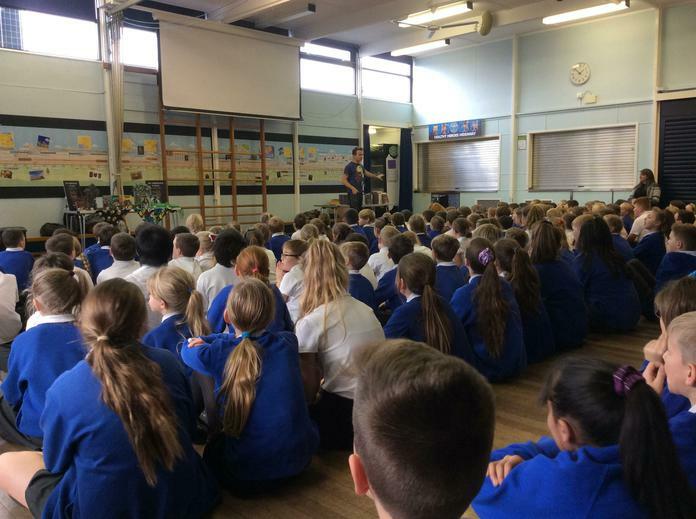 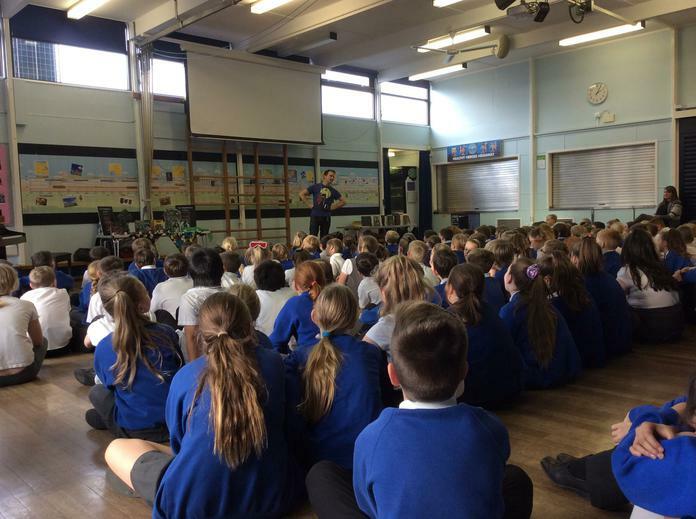 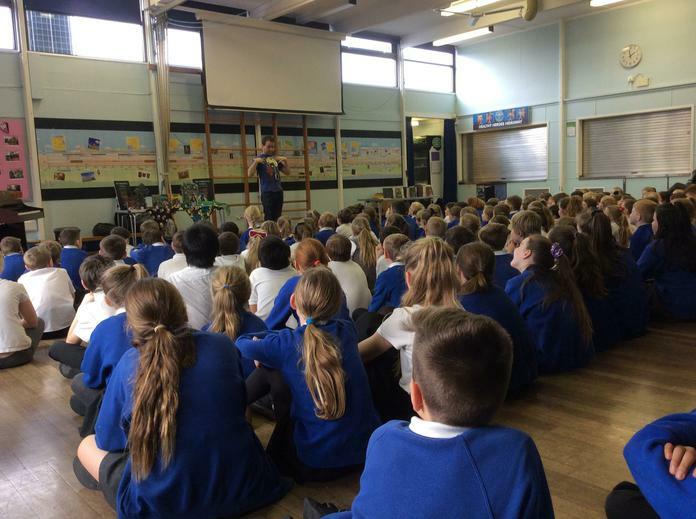 Not only did Gareth talk to the children about being an author and his series of books, he also played the piano, the ukulele and sang! 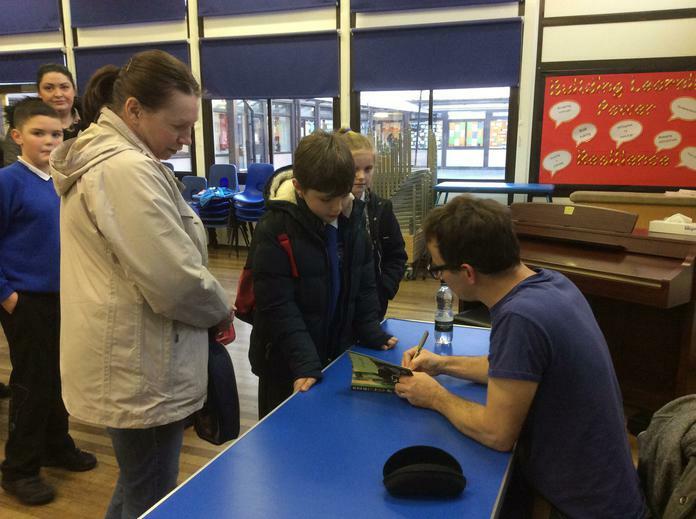 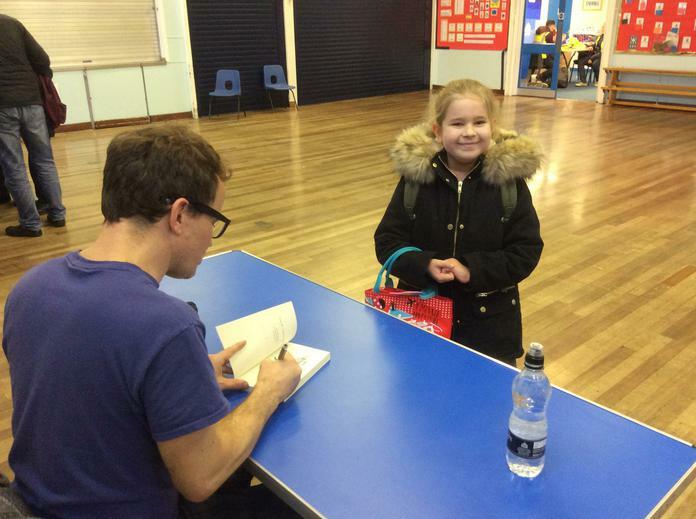 After school, Gareth was mobbed by children who were inspired to read his books and get them signed by the author himself!